The aptly named Point Perpendicular sits chiselled and proud above Jervis Bay. The steep cliff assures that climbing is sustained and exciting. The setting above the crashing waves is exhilerating and the shear white rock makes for plenty of photo opportunities. Point Perpendicular is primarily a trad climbing area but there are also mixed routes and many harder sports climbs. Access requires a rap down from the cliffs edge before starting to climb. The rock climbing quality varies from very good to very poor, the ‘Climb Point Perp’ guide book by Robert Dun provides good guidance. The trip is ideal if you are leading up to grade 18 and/or seconding at a similar grade. There is some easier but equally exhilerating climbing at hand. Given the nature of the cliff the trip is suitable for advanced and intermediate climbers who can look after themselves with confidence. The ability to use prussics and/or ascenders will be an essential. The trip will be held over a 10 day period including 2 travel days. Accommodation will be in a shared house for 9 nights at a cost of approximately $20-30 a night, numbers dependent, but is will likely be closer to $20. You will need to share rooms with others unless you are a couple. You will need to bring your own linen and towels. A deposit of $150 will be required to assure your place. Numbers will be limited to 9 people in terms of accommodation at the house. As access to Point Perpendicular is both weather dependent and dependent on access through the Beecroft Weapons Range, climbing at the point can not be assured. 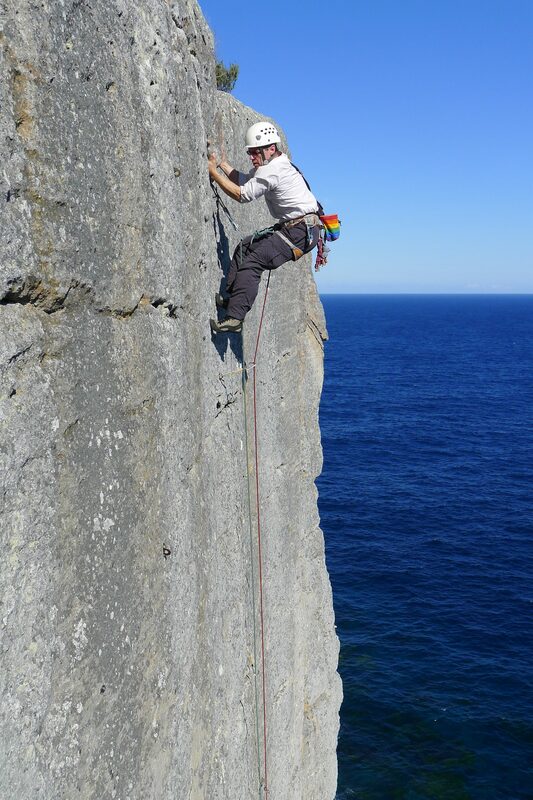 On such days a trip to the sports crags at Nowra would be likely.